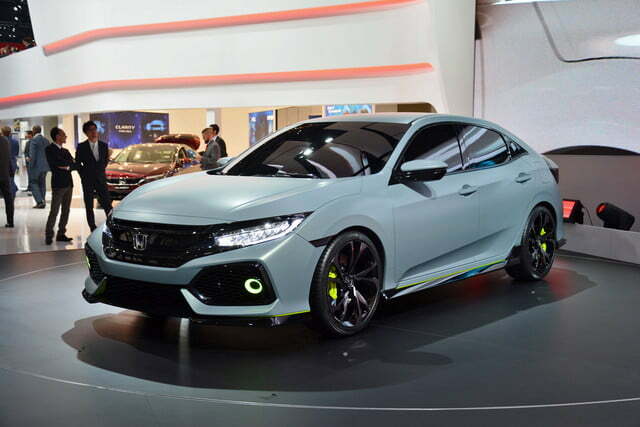 The 10th-generation Honda Civic sedan and coupe will soon be joined by a five-door hatchback model, which Honda previewed at the 2016 Geneva Motor Show. 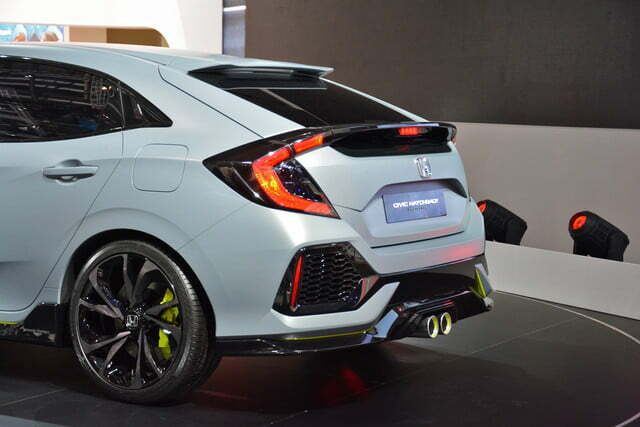 Described as a “prototype,” the Civic hatchback looks pretty close to production ready, with details added to give it a little show car pizzazz. 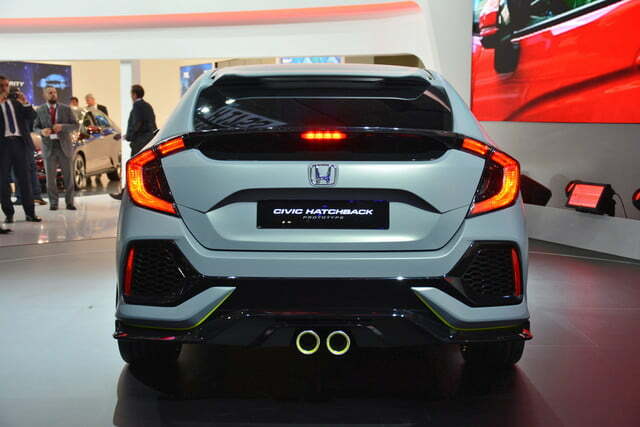 The hatchback retains the sleek lines of the sedan and coupe, along with the Honda corporate front fascia and hook-shaped taillights. 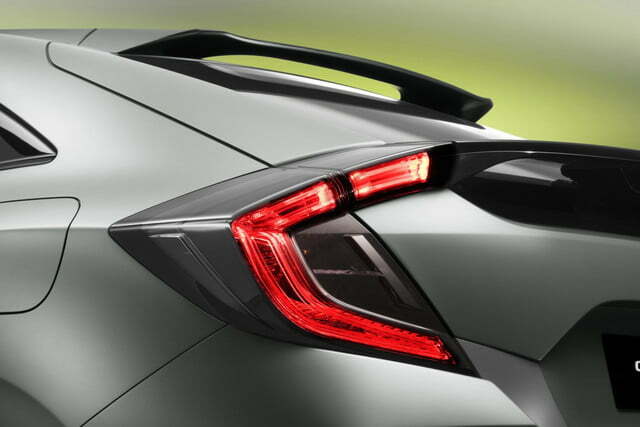 As with the other models, the styling is meant to take the new Civic beyond the model’s economy-car roots. 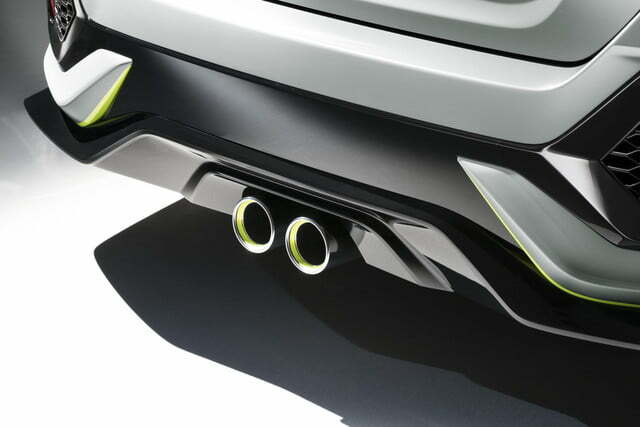 Some of the features, like the center-exist exhaust, front and rear bumpers with gaping air intakes, and copious green trim probably won’t make it to production, although it would be entertaining if they did. 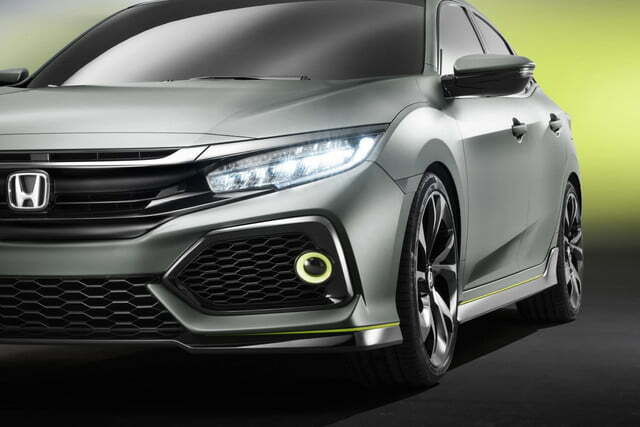 Honda may be saving some of these styling cues for previously confirmed Civic Si and Type R performance models. 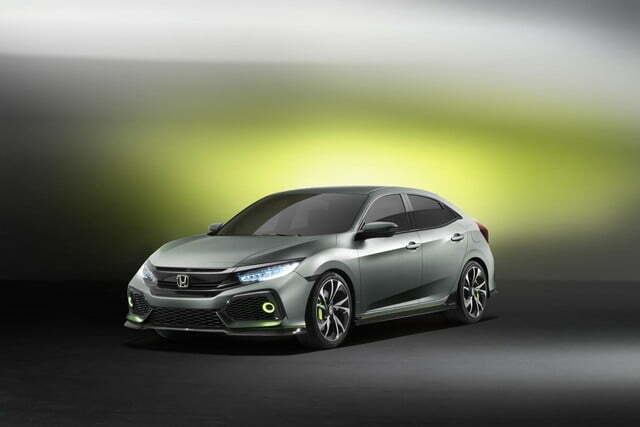 In the U.S., the production Civic will likely get the same powertrains offered in the coupe and sedan. 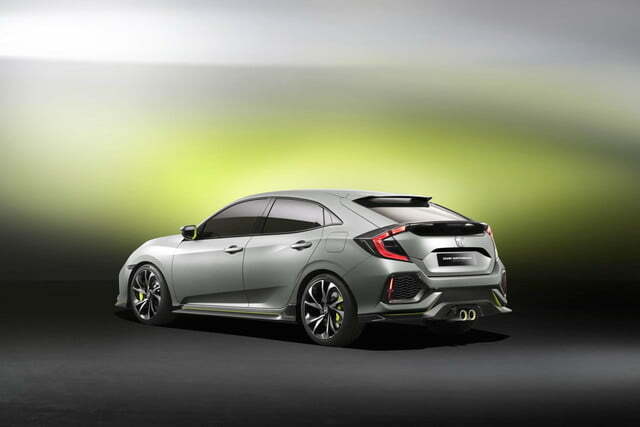 That means base models will use a 2.0-liter, four-cylinder engine producing 158 horsepower and 138 pound-feet of torque, while a 1.5-liter turbocharged four with 174 hp and 162 lb-ft will be optional. 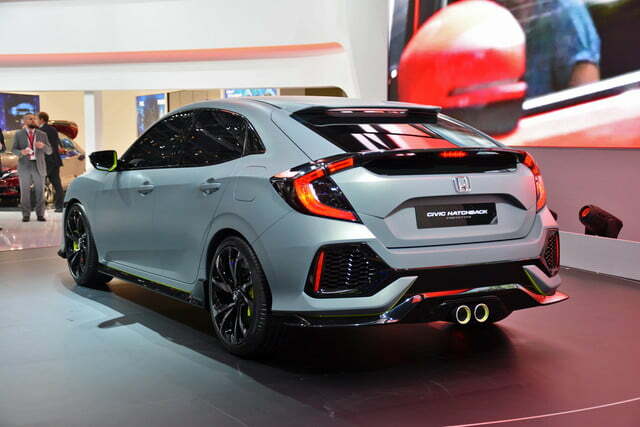 The naturally-aspirated engine will be offered with either a six-speed manual transmission or CVT automatic, and the CVT will be mandatory with the turbo engine. 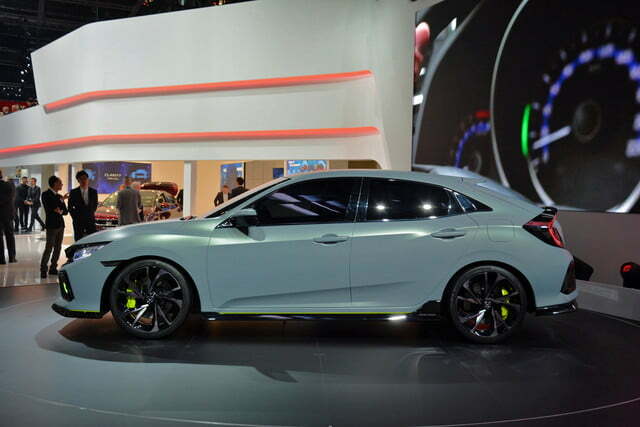 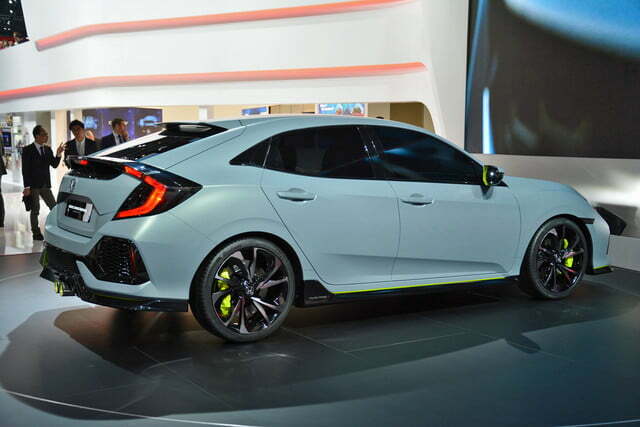 The Civic hatchback should also share tech with the other two models. 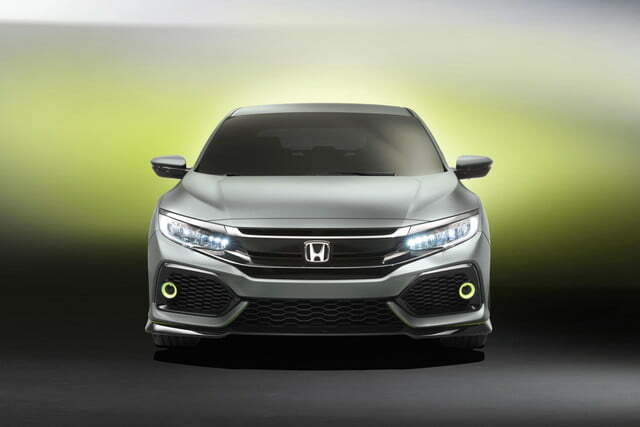 Some highlights include an Android-based Display Audio system with 7.0-inch touchscreen, Apple CarPlay and Android Auto compatibility, and an available Garmin-developed navigation system. 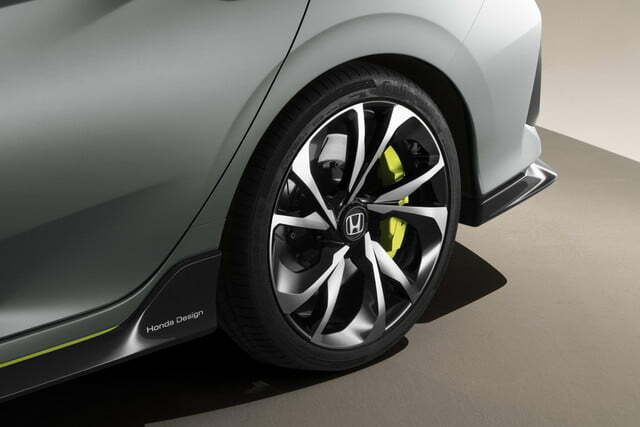 The Honda Sensing bundle of electronic aids is also available on 10th-generation Civic models. 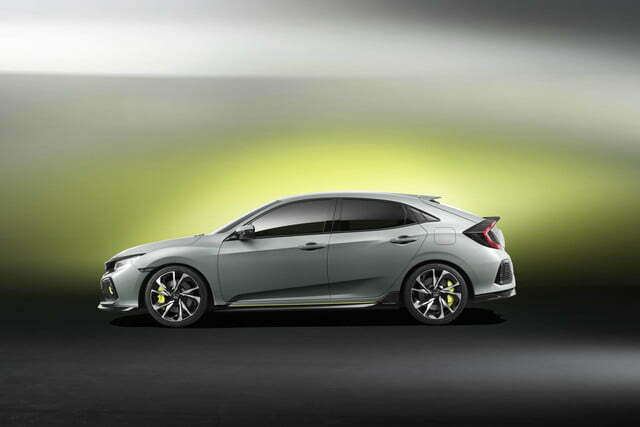 Unlike the other U.S. Civic variants, which are built in Indiana and Ontario, Canada, the hatchback will be built exclusively in the U.K., alongside cars for the European market. 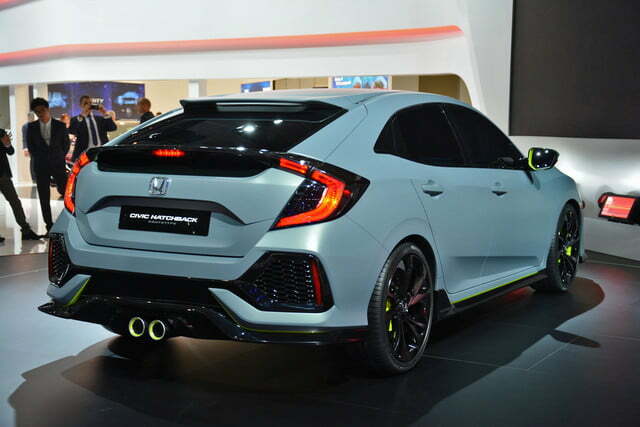 The hatch will make its North American debut at the 2016 New York Auto Show later this month, and is expected to go on sale sometime next year.